According to searches and excavations on Santorini, the first human presence on the island is situated back to the Neolithic Period. Santorini hosted an important civilization around 3600 BC. Discoveries made in an important city near Akrotiri and the famous Red Beach show the existence of an ancient Minoan colony. The city was very similar to those found in the island of Crete, with many wall ornaments and pottery showing naturalistic landscapes of animals and humans of the same ancient Minoan style. 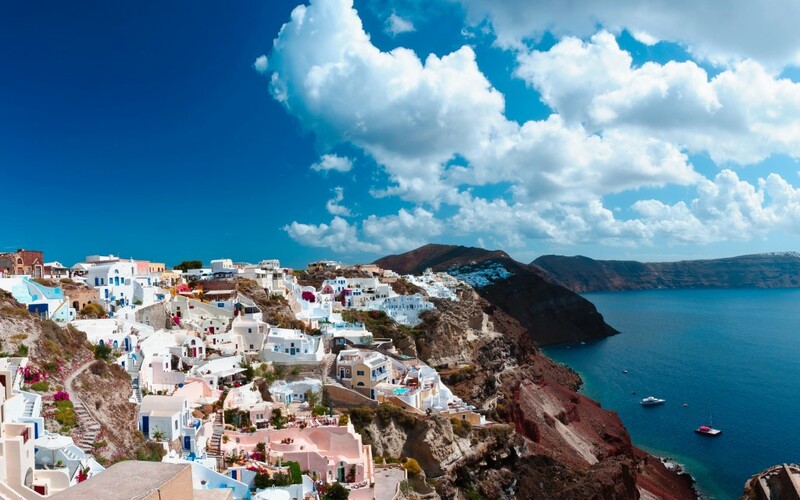 In Ancient times, Santorini Island was known as Stongili, which means round in Greek. Strongili was the victim of an enormous volcano eruption in 1,500 BC. The eruption was so huge that many consider it to be the main cause of the destruction of the great Minoan civilization on the island of Crete, situated 70 nautical miles away. The specialists believe that the explosion was so strong that it created gigantic waves that reached the shores of the surrounding islands and Crete. After the explosion, the centre of Santorini sank, and the many earthquakes that followed destroyed a big part of the rest of the island. Many studies and researches have been presented in our days about the volcano of Santorini, including a series of documentaries in the National Geographic. In some ancient myths, the destruction of the island is closely associated to the legend of Atlantis. According to history, Phoenicians settled on ancient Thera around 1,300 BC and stayed for five generations. Then, around 1100 BC, the island was occupied by the Lacedaemonian. Around 825 BC, the inhabitants of the island, then named Thera, were using the Phoenician alphabet. In the 7th and 6th centuries BC, Thera had commercial and trade relations with most of the islands and cities of Greece. During the Hellenistic Period, Thera, because of its central position in the Aegean, became an important trade centre and a important naval base, due to its strategically perfect position. Between 1200 AC and 1579 AC, the island was under Byzantine rule and the church of Episkopi Gonia is founded. In 1204 AC the island is surrendered to the Venetian Marco Sanudo and becomes part of the Duke of the Aegean. The name of the island was given by the Venetians after the Santa Irini, the name of a catholic church. During that time there is a strong battle between Venetians and pirates. During the Turkish rule (1579-1821) the island succeeds in trading development with the ports of Eastern Mediterranean. The period that follows is quite prosperous. Due to the wars of the 20th century, Santorini’s economy declines and the inhabitants abandon the island after the catastrophic earthquake in 1956. The tourist development in Santorini begins in the 1970s and today it is one of the best tourist destinations in the world. 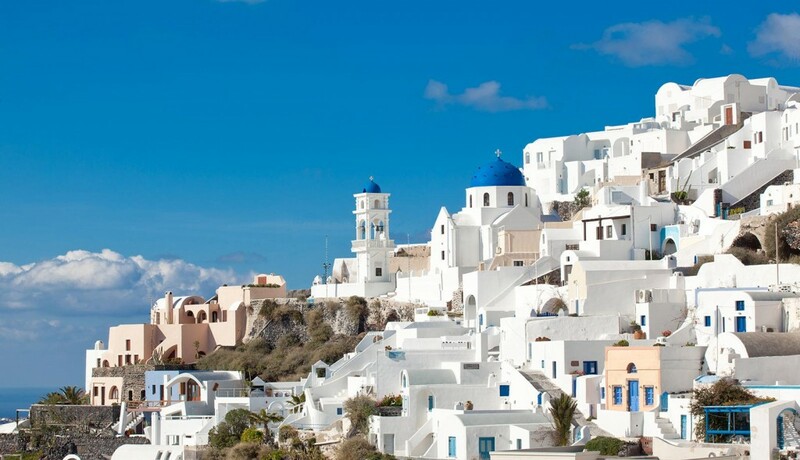 Over the years, Santorini has also developed as a wedding and honeymoon destination, while many international meetings and conferences take place there in summer Source.